Let’s have a look at how good proposals work as sales tools, and how you can get the most out of them for the benefit of your business. What do proposals have to do with the sales funnel – an instrument of marketing – you ask? The answer is: everything. At best, a proposal is a consolidated piece of marketing material that manages to execute the whole sales process all on its own. Now that we know the parts of the sales funnel, let’s relate these parts to an effective proposal. Broadly speaking, awareness puts a brand or product on the peripheral of the consumer. Whatever it is that your company does, you should state it in your proposal’s leading paragraph what your business has to offer, and provide some assurance that your business is a reliable, trustworthy authority in its given industry. If you are a digital marketer, for example, the opening of your proposal should make that fact clear. Doing this right up front plays into the concept of qualifying the customer. In our digital marketing example, only a customer who is at least somewhat interested in having his or her home painted will continue reading the proposal – which is fine, because those who do continue past the opening paragraph move from being mere possibilities to being leads. Once the consumer has read past the opening paragraph, you can safely graduate to explaining how your service meets the customers’ needs. This part of your proposal is a continuation of the process of qualifying the customer. The part of your proposal that represents the ‘interest’ portion of the sales funnel should be rhetorical to some extent. In effect, you are leading the consumer to ask the question ‘why do I need this,’ specifically so that you can answer that question in the next area of the funnel. Your proposal moves along the sales funnel because you are able to help your leads understand why your business is ideally suited to help them achieve their goals. An evaluation compares some features and/or benefits, and sometimes attempts to discredit a competing option or alternative. Most commonly, a proposal will engage in an evaluation of the competing option of inaction. If your proposals can succeed in illustrating that your service is all benefit, and inaction is all detriment, you will see your business start to grow. The purchasing step can take on a variety of forms, but one thing must be present in all cases: asking for the sale. You will never sell anything by not offering to do so. That being said, you should avoid making people feel like they are being sold. Instead, make the purchasing step an action – clicking a button to go to checkout, ideally. Closing the sale is the ultimate goal, so the content in this part of your proposal is crucial, and being successful will mean understanding your business, its customers, and their needs very thoroughly. In an ideal scenario, your customer will be glad to have made a purchase after having done so. Consumers make purchases that make their lives easier or in some quantifiable way, better. At the end of the sale, if your business has gotten everything right and delivered on what was proposed, you will likely enjoy having the customer refer new customers into the sales funnel. A referral may be as basic as a ‘like’ on Facebook or as traditional as word-of-mouth advertising, but either way, apart from the actual conversion itself, a referral is one of the best possible outcomes of a consumer interaction. The other great possible outcome of the sales process is the repeat customer. Having perfectly executed proposals is essential to the customer service experience. Once the customer has passed through the sales funnel once, they become twice as likely to repeat the process. Presenting them with great, informative, and actionable proposals that don’t frighten them will go a long way toward earning repeat conversions. 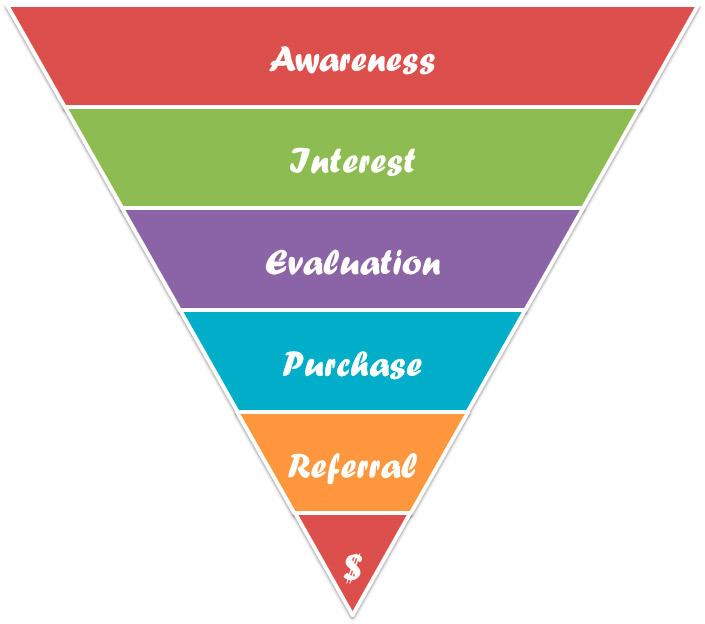 As you can see, every aspect of the sales funnel is represented in an effective proposal. Of course, proposals can contain more than sales content, they can contain digital space innovations such as analytics, multimedia, and more. In any case, every proposal that your business generates is useful, even if it does not lead to conversion. Those consumers who fail to become leads, or those leads that leak out of the funnel, can tell you where the weak points in your proposals are, allowing your business to respond accordingly. By giving equal attention to your business proposals as you would sales and marketing, you can solidify your brand position and ensure customer retention through continual refinement of the in-proposal sales process. As with any other aspect of business, the best way to get ahead is to have a plan. So, put some thought into your proposals, and relate them to your overall sales strategy and goals – you’ll be glad you did. Where do proposals stand in your business?